If you would like to know availability for a particular type of accommodation (i.e. just the yurt, just camping, just Bell Tents of just Shepherds Huts) then please use the relevant calendar below. If you have a question or want to make a group booking please contact us using the form at the foot of this page. Things to note before booking! Please note that we require a two night minimum stay over weekends (Fri/Sat) in the peak season and three nights over Bank Holidays. For camping we charge per person, per night. 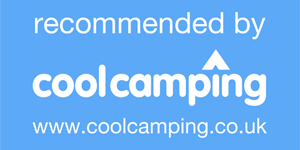 All glamping is priced separately - please click relevant icons below for more info. Check into site is from 2pm-7.30pm, ​Please allow enough travel time to reach us. Late check in may not always be possible. If you would like to rent a fire pit, don't worry, we wont run out and can arrange this when you check in. ​​Group bookings (10+ people, including groups of families who wish to camp together under a single booking) are very welcome. We can still arrange booking a payment online but please contact us direct using the form below to make sure we are the right site for you and you get the best possible price. Use this field to let us know if you are bringing a dog (£1 per night), need an extra parking space (£5 per night) or have any other questions or special requirements which we may be able to help you with. By clicking submit you are agreeing to make full payment to secure your reservation (subject to availability) and accepting our booking terms and conditions, including refunds policy. We would love to stay in touch and let you know what's occurring at the site; but we promise we will never share any of your contact details with anyone else. EVER! If you don;t want to stay in touch then no worries! What is this? Love the Broads is a visitor giving scheme which supports excellent projects in the Broads. Here at Whitlingham we support the charity and are inviting all our guests to make a small donation of 50 pence per booking. To find out more about Love the Broads just click on the logo. Thanks!